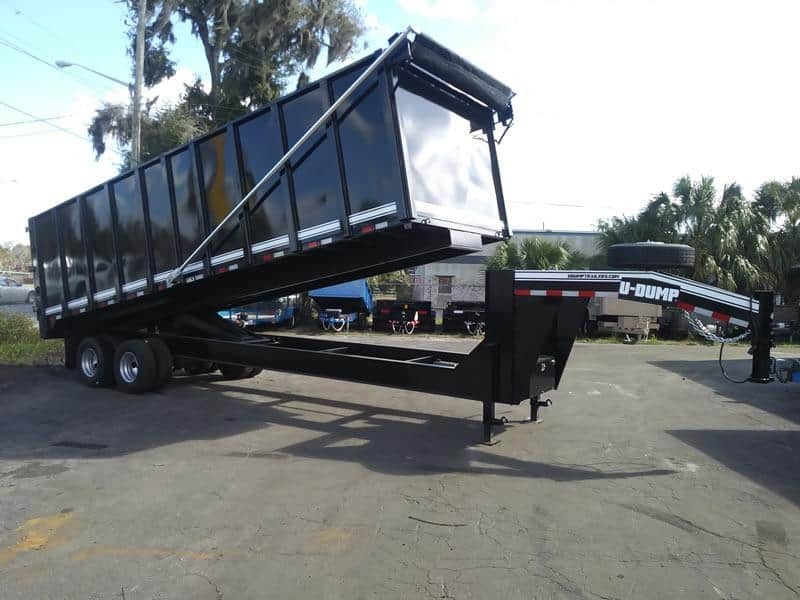 U-Dump’s gooseneck 8′ X 24′ dump trailer is proudly built in the USA using top quality materials and the latest manufacturing techniques to ensure consistent, reliable performance in any conditions. 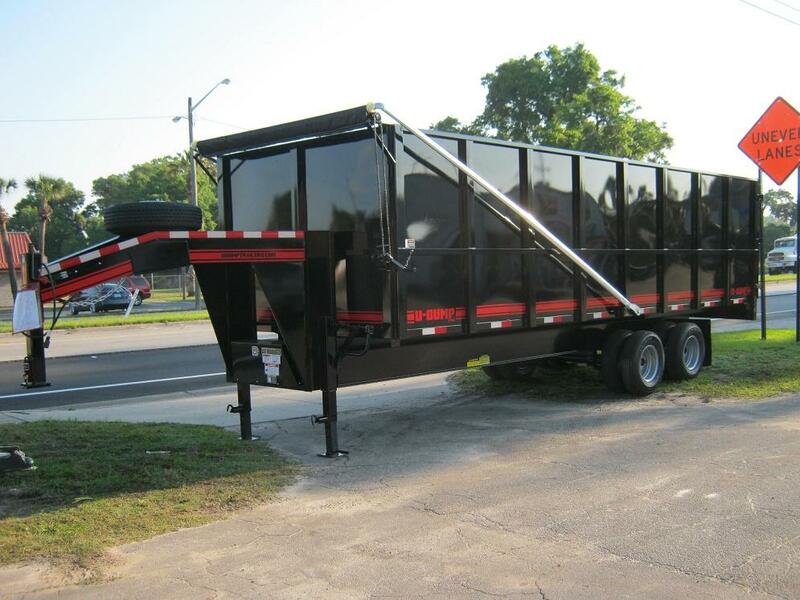 The trailer comes equipped with a deep cycle marine battery, LED lights, and remote control dumping function. 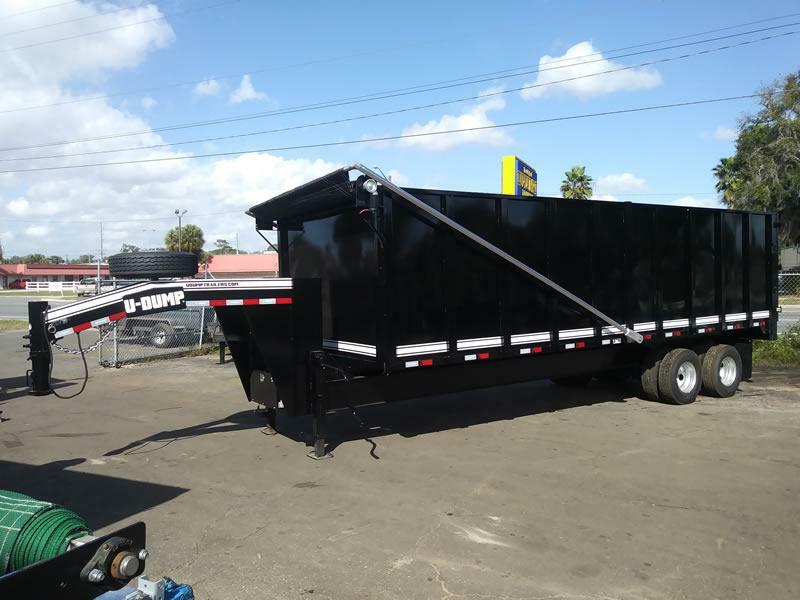 These durable, heavy duty dump trailers are perfect for work site cleanup, debris hauling, or any project that requires large capacity, heavy weight hauling and dumping capabilities. 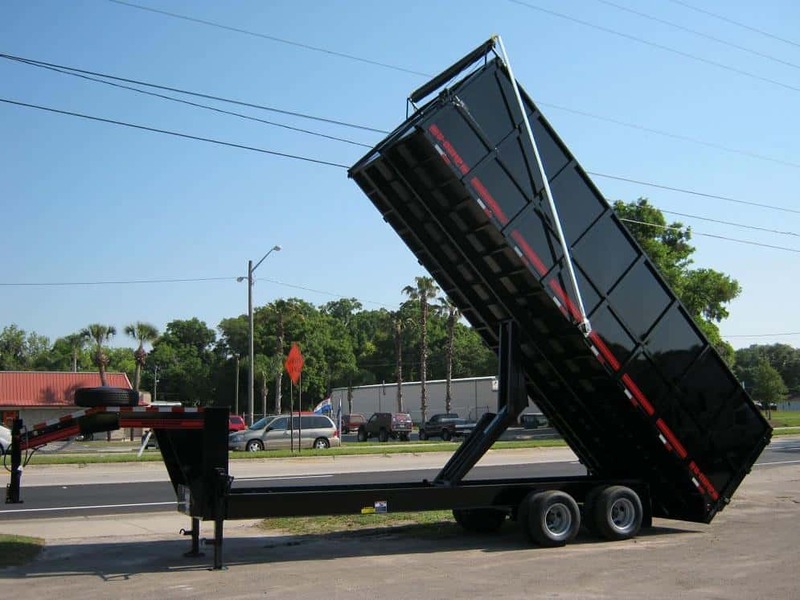 The 67″ sides and 40 yard bed means you can do in one load what other dump trailers need 3, 4, or even 5 loads to accomplish. Save time, save money, and get the job done right the first time!